Don’t wait for time, make time! There is a highly subjective component to time, but whether or not time itself is “felt”, as a sensation or an experience, has never been settled. When we are bored, time passes slowly but when we are excited time runs fast. The passing of time seems to increase when we are getting older. If you are involved in planning your own project, there is a tendency to be overly optimistic. An outsider is likely to estimates the time it takes as much longer. Products can be introduced too early, or consumers can get accustomed to a new service slower than expected. In the beginning of a jog, a distance of 2 kilometres seems to be insurmountable but after a few hours of running a 2-kilometre leg becomes peanuts. Earth is around 4 700 millions years old, if this time was reduced to one year, human would have appeared 8.35 pm on the 31st of December. Despite that, we tend to think in hours, days, weeks, and seasons. 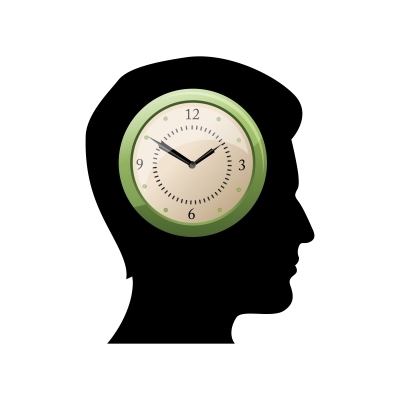 Time perception is a field of study within psychology and neuroscience. It refers to the sense of time, which differs from other senses since time cannot be directly perceived but must be reconstructed by the brain. Some researchers have tried to categorize people by how they differ in their perception of time. The perception of time is strongly tied to emotion, and thus to the body. However, the direction of the cause-effect relation is unclear. Does mood affect perception of time? Or does an increased focus on time influence the embodiment of emotions? Maybe our sense of time, as perceived signals from the body, produces the sense of self as a succession of moments that constitutes its duration. As such, the sense of time would be a creation of the body itself. Time is a human construct. It is therefore not surprising that in different cultures people use time differently and attribute different values to it. The Aymara, a tribe in the Andes, think of the past as in front of them and the future as behind. This way of lookign at time may influence other concepts they may have on life, such as economics and social relations. The Yupno people, who inhabit a remote valley in Papua New Guinea, think of time topographically. No matter which way a speaker is facing, he or she will gesture uphill when discussing the future and point downhill when talking about the past. In contrast, the Amondawa, a tribe in the Amazon area, seems to have no concept of time at all. It might also be that we exist in various scales of time simultaneously. We live in the moment, make plans about next week, remember what happened last year, study the history of ancient Rome and ponder the Big Bang billions of years ago. Time is a neglected factor in evaluation, negotiation, decision-making, action planning and forecasting of future and trends. Mostly, we project ourselves at one point in time, the here-and-now, and will reason from that point into the future, thereby assuming that the present situation will remain the same. However, situations may change as time passes independently from our actions. Moreover, the situation could change because of our actions itself and the feedback loops it will activate. We believe that there is definitely a need to make mapping the implications of time a deliberate mental activity. We need a Search Light to focus on aspects of time in a situation. At this moment, we are developing the contents of such a Search Light for our forthcoming book. We encourage you deepen your insight in the concept of time, for example by studying various expression regarding time, as listed here. If you would like to learn more about the use of Search Lights to enhance and broadening your thinking, read our E-book Thinkibility – Thinking about Thinking, Creativity, Innovation and Design Part 2 Positives and Negatives.